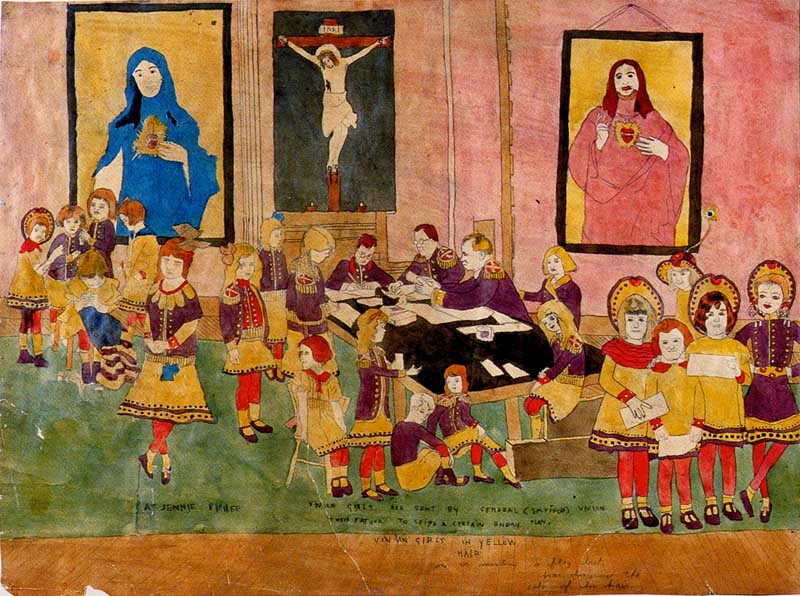 Henry Darger is an artist and writer with an unusual story. He was orphaned and institutionalised as a young child and spent his adult life living as a recluse in Chicago. 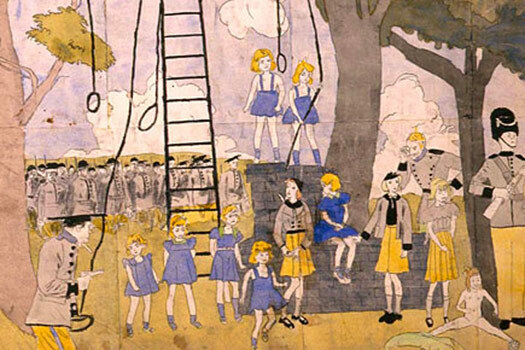 It was only after his death that Darger’s landlord discovered an epic 15,145 page narrative titled The Story of the Vivian Girls, in What is known as the Realms of the Unreal, of the Glandeco-Angelinnian War Storm, Caused by the Child Slave Rebellion. The story follows seven young girls as they fight against a variety of sadistic adults while being protected by a slew of fantastical animals. The writings are accompanied by several hundred drawings and watercolour paintings. 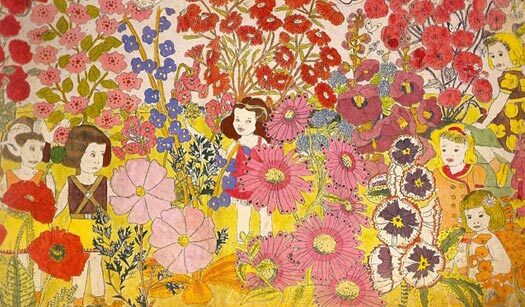 Some of the images are calm and filled with flowers. Others a violent and tortured. It’s an incredible juxtaposition between innocence and extreme brutality, and gives us a glimpse into the mind of this mysterious man. 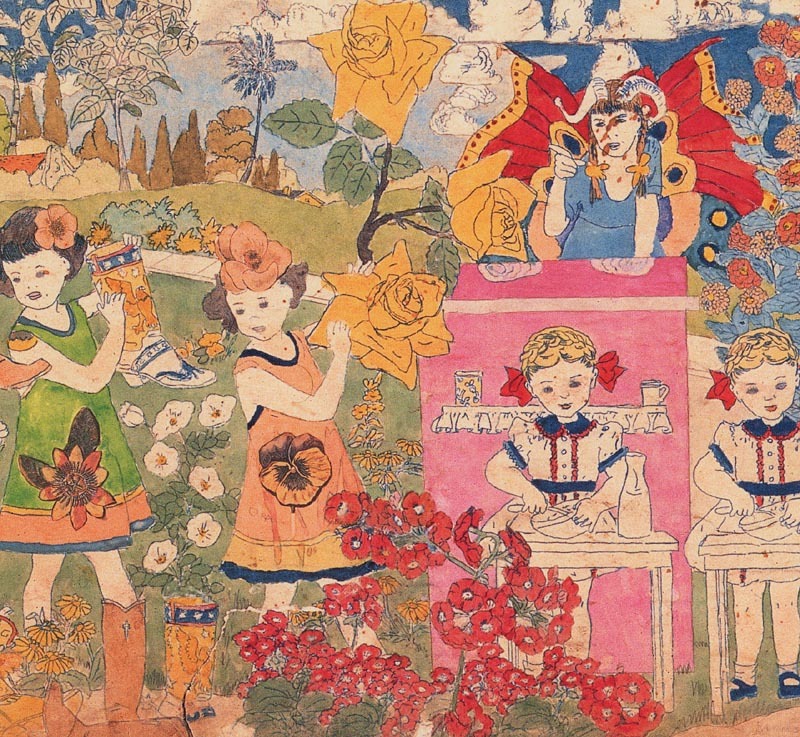 Jessica Yu made a film about Darger and his work The Realms of the Unreal (2004).